Writing trays are a fantastic way to help kids work on handwriting, letter formation, and pre-writing skills. 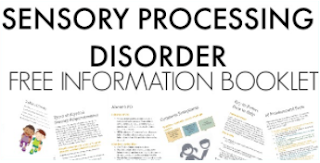 You can find them used in schools, clinics, preschools, early learning centers, and homeschool dinging rooms. 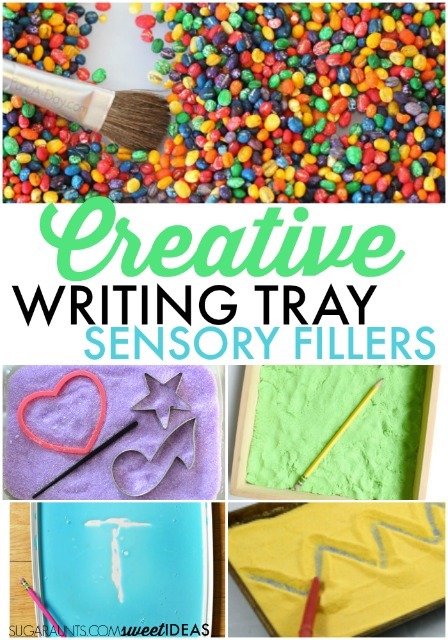 There is a reason that writing trays are a popular way to encourage fine motor skills and an introduction to handwriting; They use a tactile sensory strategy to encourage movement in learning in a multi-sensory way. 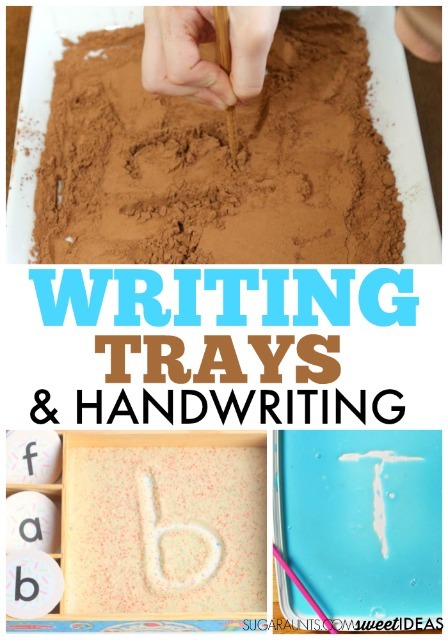 Writing Trays make letter formation fun and meaningful in a play-based manner. 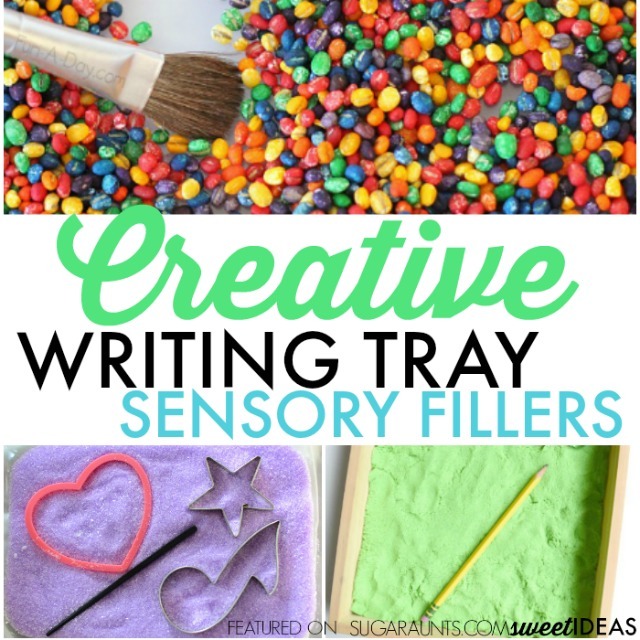 Try this easy rice writing tray for a simple sensory writing experience. What is a Writing Tray? Writing Trays are a creative way to help kids learn to write letters, numbers, shapes, and pre-writing strokes. There are a ton of different ways that writing trays can be set up and used in letter formation. Essentially, a writing tray uses a low container (or TRAY) and a medium that can be moved and shifted for writing. Kids can use writing trays to practice letter formation, or pencil control and stroke sequence in writing letters. Typically, they will be provided with a visual cue or cue card for copying the letters/numbers/shapes. Other times, kids can form the letter/number/shape independently when prompted to make a specific letter. This is a great way to work on visual memory and independent letter formation. Be sure to verbally prompt children to form letters or build letters with correct stroke sequence. This is essential for carryover of accuracy with letter formation in handwriting. Otherwise, the child is simply playing in the sensory tray and not effectively using the writing tray as a tool for improved handwriting. Encouraging the child who is learning pre-writing strokes and beginning letter formation can use a writing tray as a base for forming letters independently. Try using visual and verbal cues to promote correct letter construction. Make sure letters are not formed in parts. In other words, don't allow kids to make a circle and then a line to form an "a". Make sure letters are formed from top to bottom. 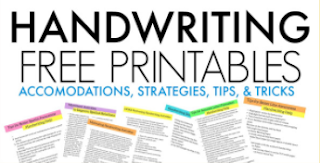 Realize that the motor plan to form letters with your finger is different than the motor plan to form letters with a pencil or other pencil-like writing tool. A writing tray can be an effective tool in boosting fine motor skills. Kids can use their finger to form lines and letters while strengthening finger isolation and separation of the two sides of the hand, including an opportunity for the ulnar side fingers to tuck into the palm for a more effective pencil grasp when writing. 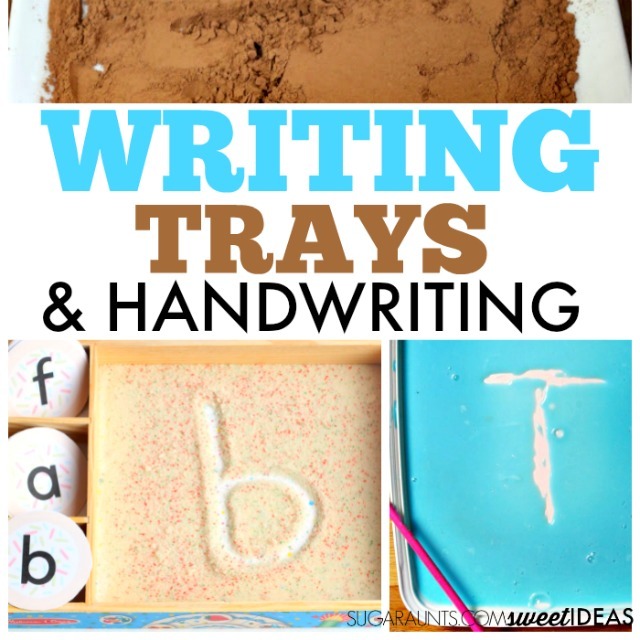 Children can also use a tool to form letters in a writing tray. This can be an opportunity to develop pencil grasp. However. There are a few items that should be mentioned about using a writing tray to address pencil grasp and appropriate motor plan for letter formation. Writing Trays are a common tool. 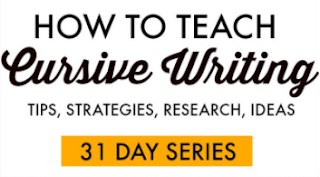 But if you just place a writing tray in front of a child, you will likely see an inefficient writing activity. 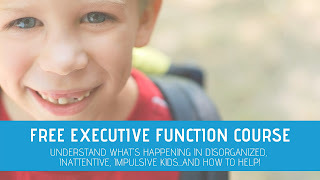 You will probably see most kids forming letters with an awkward grasp on the writing tool, a flexed and deviated wrist, an abducted shoulder, and generally ineffective positioning. Positioning absolutely carries over to letter formation and handwriting. Place the writing tray on a slight slant. Try using a DIY slant board. Use a low edged tray. Use verbal, physical, and visual cues for appropriate positioning. Position the writing tool in your child's hand with an appropriate tripod or modified tripod grasp. Show the child how to hold the tool at the end of the tool as if they were holding a pencil.